World renowned the promotional Lindor Balls White Noodle Box will be a favourite. A great way to surprise your guests, the custom Lindor Balls White Noodle Box will surely liven up your corporate events and make you the talk of the town. 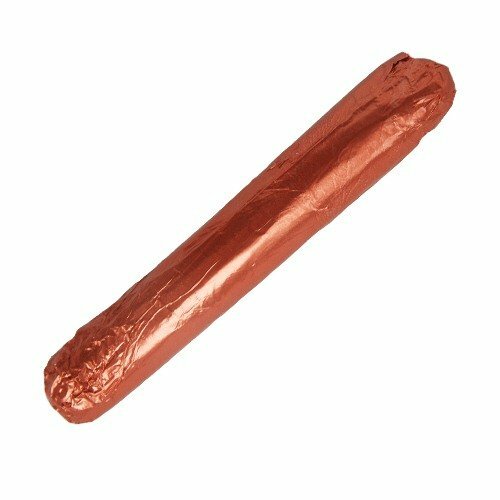 This edible promotional product is a great giveaway for any occasion where you want to make a statement and leave a good impression about your company. The noodle box is 62mm in width and 46mm in height. It has a simple design of white, which you could customise to have your logo or any design. For customisation, the graphics that you’ll send us will be printed on a sticker tag that will be placed right at the front. Since the noodle box is all white, this makes your design more obvious, giving you maximum exposure. There’s a handle attached that you can use for convenient carrying. But it’s when you open the promotional Lindor Balls White Noodle Box where the fun really starts, as inside are five Lindt Lindor Balls of your choice of flavour. Everybody knows that Lindt is one of the best chocolates there is, and that’s what makes this promotional confectionery product special. Associate your brand with Lindt and you’ll have a lot of plus points to your reputation. If you want your Lindor Balls presented in tins, we also have the branded Lindor Balls Medium Bucket for you. Or if you want them presented in jars, one example you should take a look at is the custom Lindt Balls in Large Apothecary Jar. All our products come with a high standard of quality at very attractive pricing so you don’t have to overspend just to have a great promotion. 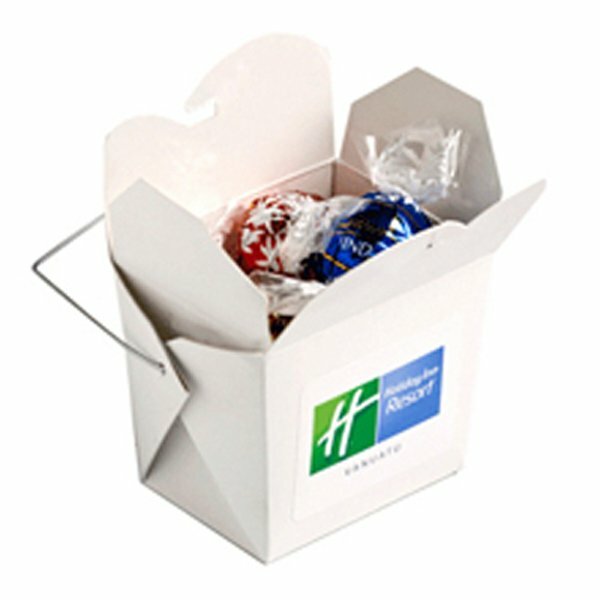 Our promotional Lindor Balls White Noodle Box is a wonderful addition to your parties and marketing events. These confectioneries will be much appreciated by your clients! Add another personalized touch to your marketing with our Canvas Cricket Hat and our other customizable hats and headwear. Our sales team is on standby in case you want to discuss more about your promotional requirements. Don’t hesitate to give us a call by dialling 1300 008 300, or leave us a message on live chat and we’ll certainly get back to you.